Every October, individuals across the world join hands in support of those battling breast cancer. The National Breast Cancer Foundation’s mission is to help “those affected by breast cancer through early detection, education and support services,” and we want to join the fight! 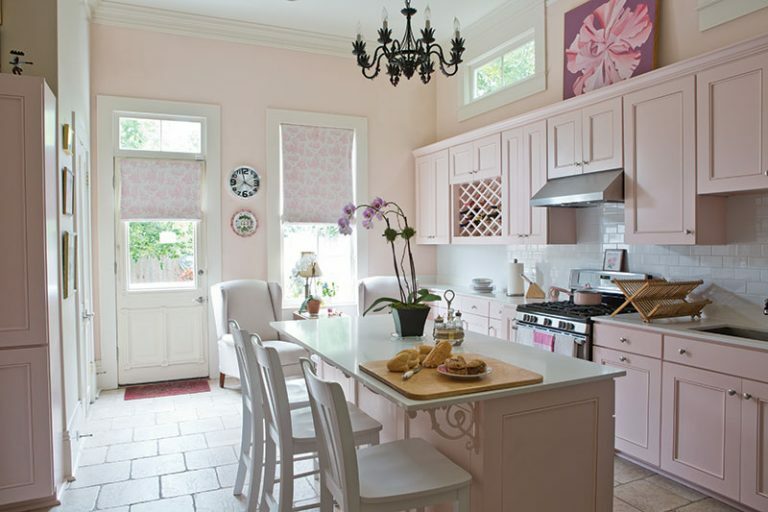 To honor people at all different stages of the breast cancer journey, we’ve collected our 10 favorite spaces adorned with pops of pink! We hope to inspire strength and comfort this Pinktober, so we encourage you to visit the National Breast Cancer Foundation’s website to give, volunteer, share educational content, and learn about the symptoms. From cabinetry to pots and pans, this cottage kitchen is pink from head to toe! This soft blush is the homeowner’s signature color, so even the cottage exterior is bathed in the feminine shade! Tour this one-of-a-kind home here. 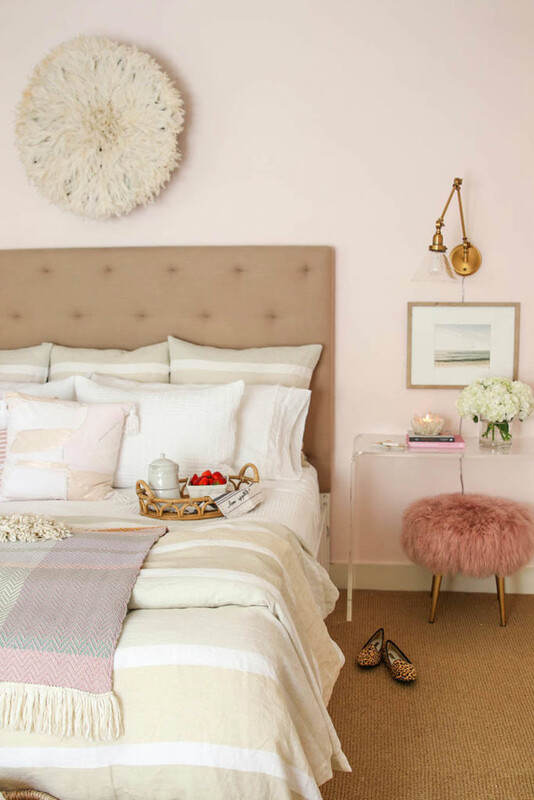 Ashley Luengo is the expert on all things glam, and her pretty-in-pink bedroom is no exception. She mixes pattern and texture into the space for a look that is well-blended but still perfectly pink! Get Ashley’s glamorous home tips here. 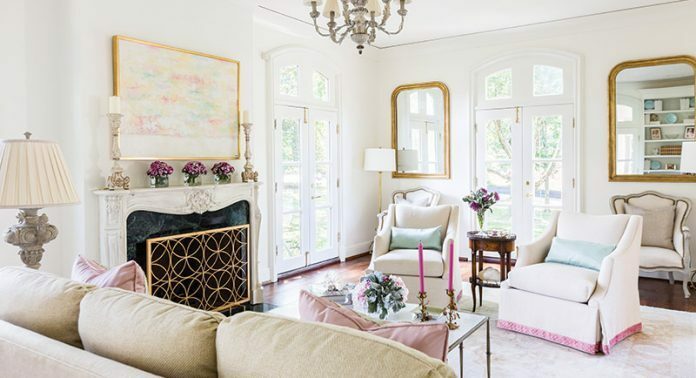 Tasteful accents like hot pink candlesticks and blush throw pillows give this Nashville, Tennessee, home a simple and feminine aesthetic. Tour this fresh and bright home here. Move over, orange; pink is the star of this autumn brunch spread. 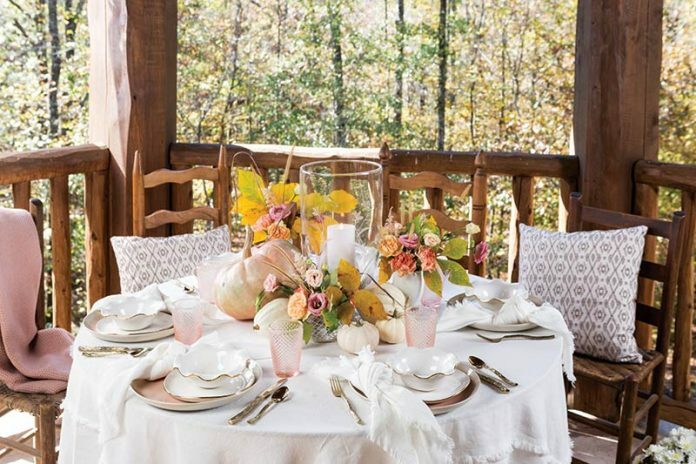 It feels refreshing to decorate with nontraditional colors, so we highly recommend giving your autumn table a rosy reboot! Find the rest of this dreamy spread (including a to-die-for brunch menu) in Autumn Splendor from our sister publication Southern Lady magazine. 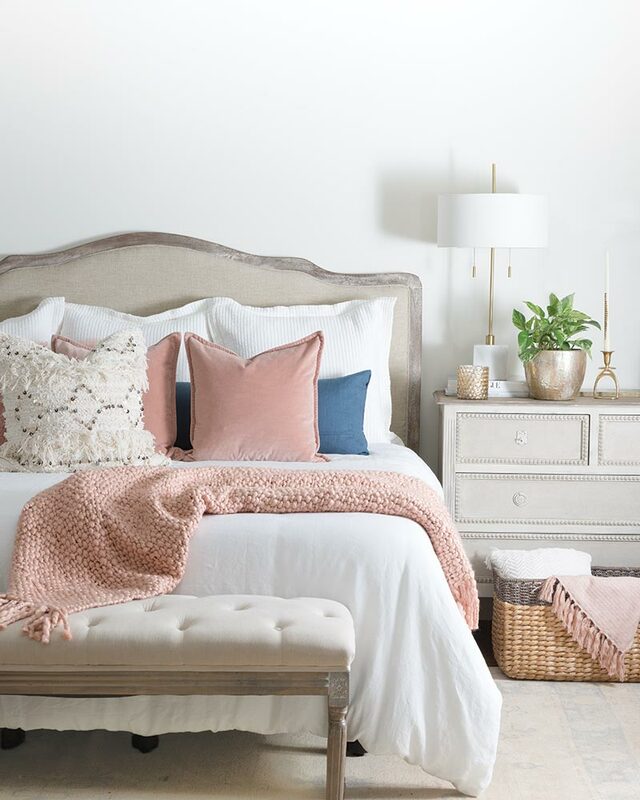 Vintage flair and varying shades of pink make quite the pair in this sweet and simple bedroom. The floral print on the bedding, wall art, and table lamp are brought to life by the fresh roses at the foot of the bed. Pink details and natural light make this the happiest little corner in the house! This rug is definitely every devoted pink lover’s dream. The book Prints Charming by John Loecke and Jason Oliver Nixon is full of bold style and uncommon flair. 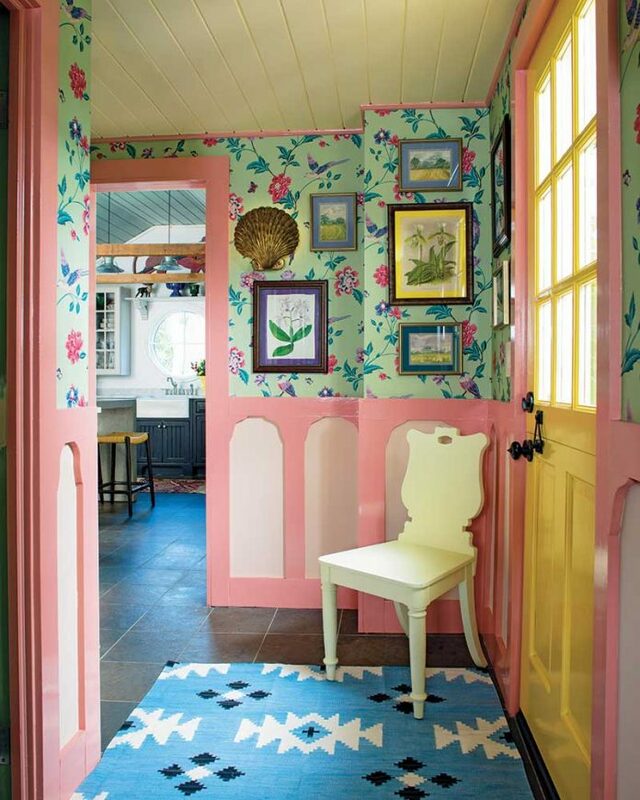 And this whimsical entryway definitely offers a unique take on paint and wallpaper! 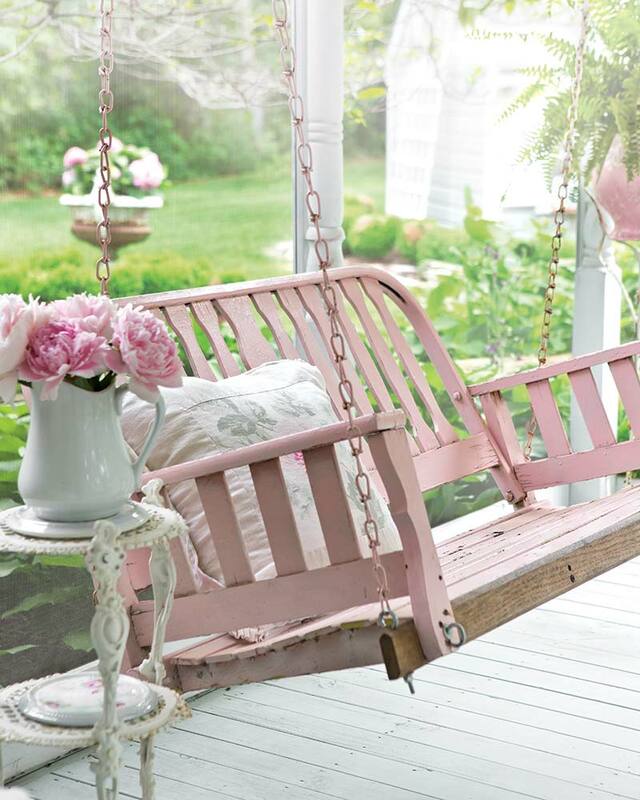 There’s nothing like a pretty porch swing and a glass of sweet tea to end the day on! 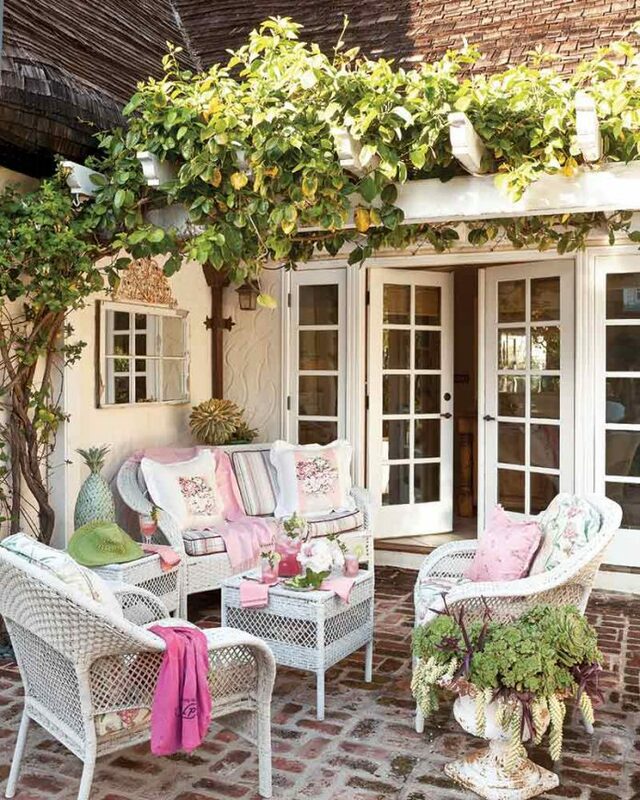 We love the idea of bringing a bit of pink to our outdoor living. 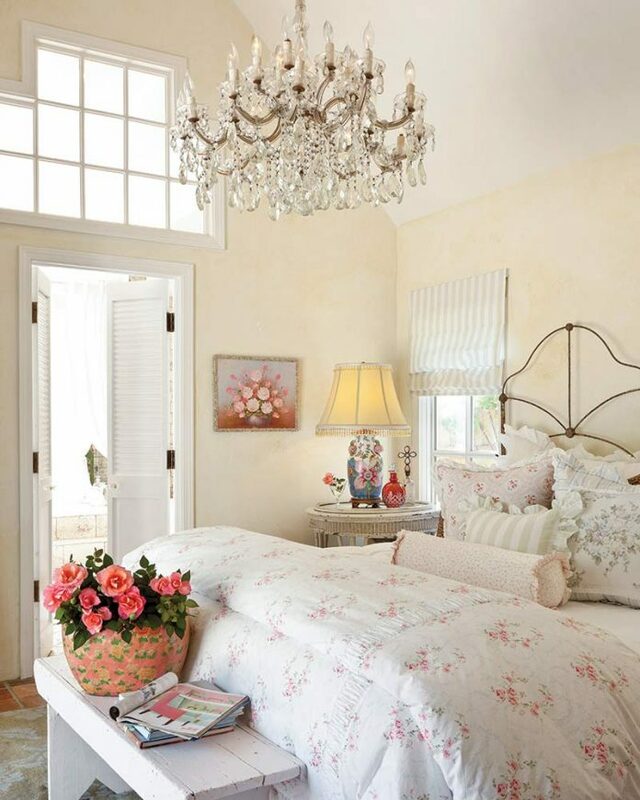 This bedroom is perfect for those who like pink but aren’t totally committed to the color. With details like throw blankets and pillows, the entire look of the room can be changed in an instant! No fairy-tale cottage is complete without a touch of pink. Neighbors call this charming cottage the Hansel and Gretel house.